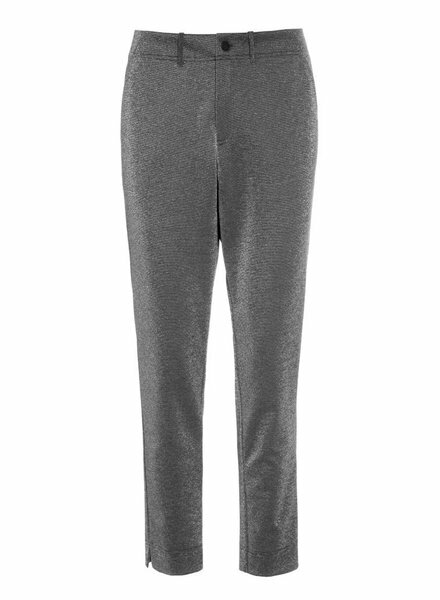 The Coco Sparkle Knit Pant by Alembika is an elastic waistband black pant with silver and grey sparkle throughout. 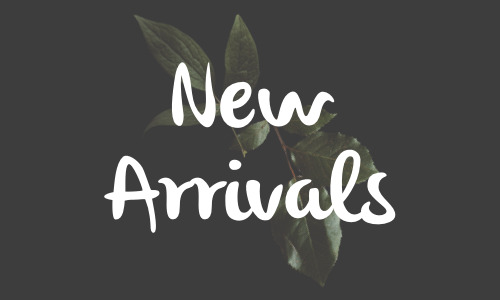 Available in Black and Brick Red with a black dot print. 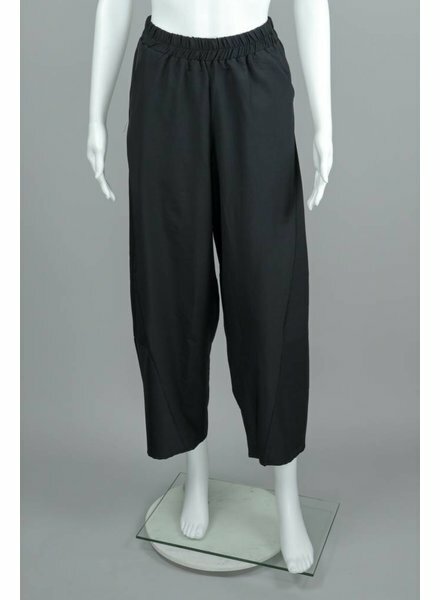 The Paula Elastic Waist Pant is an ankle length wide leg pant with an elastic waistband and 2 pockets. 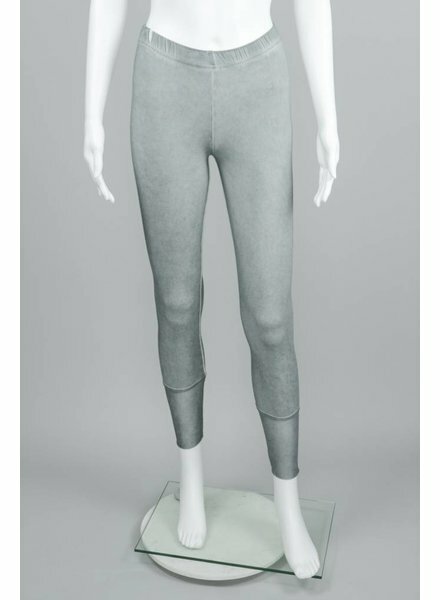 The Margaret Washed Grey Legging by Luukaa features a polyester knit and sheer mesh hem. 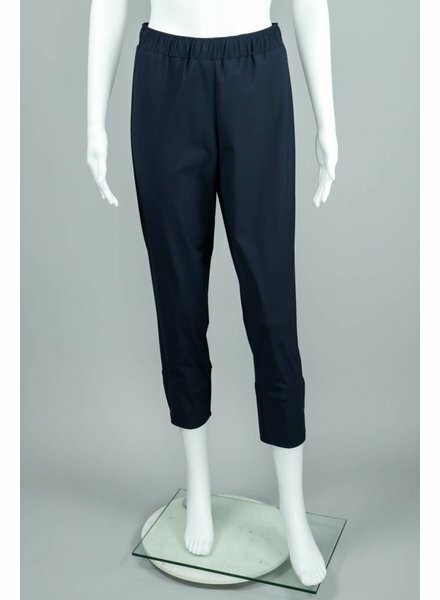 The Erika Fly Front Pant is a polyester pant with a very subtle thin stripe. 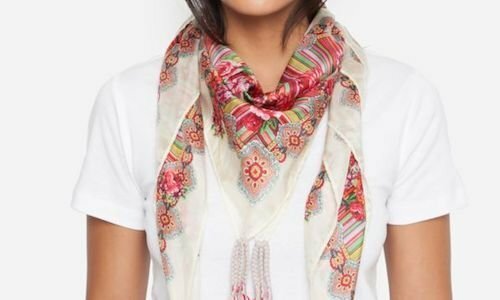 It has a flat front with a zipper and button close, with elastic at the back waistband. 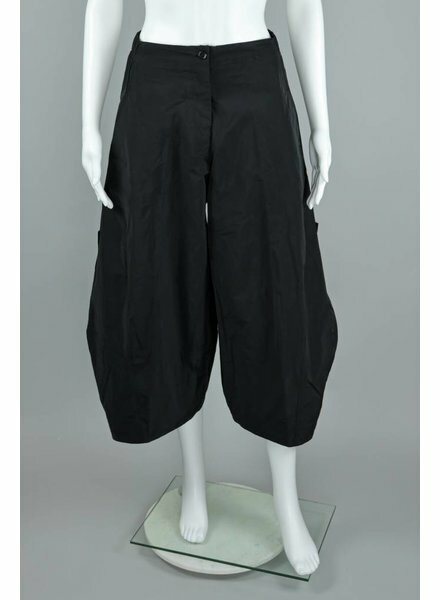 It has 2 side pockets, a faux welt pocket in back and a full length banded hemline. 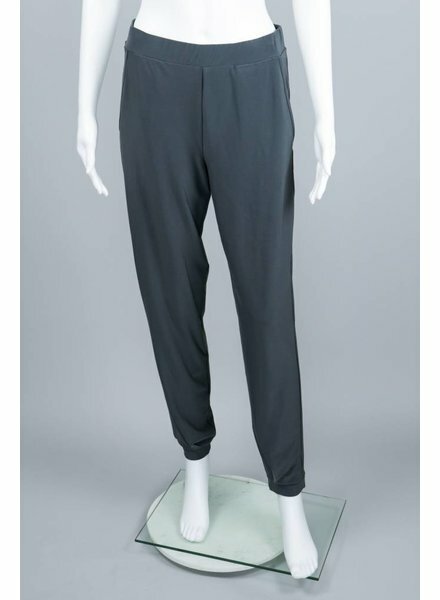 A Lightweight ankle length pant with a flat elastic waistband and a straight leg with edgy zipper accents on the outside of each leg. 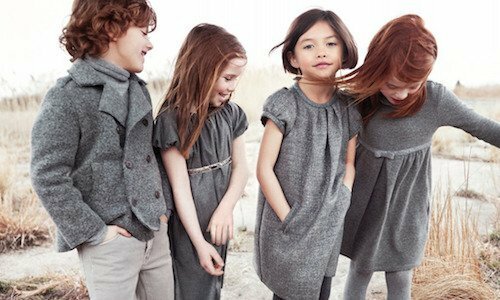 oft and fluid light weight knit fabric. 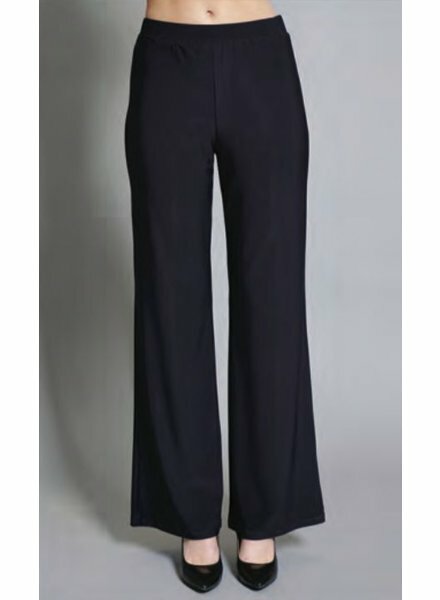 How fun are these Giulila Fur Black Trousers by Vilagallo? The fur pom poms are removable for a more classy black trouser look. 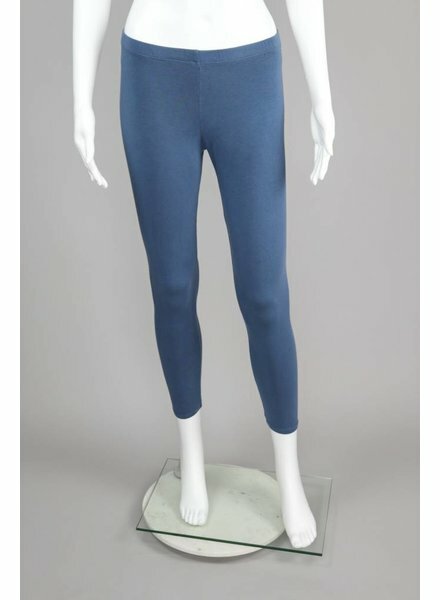 Diamond Rock Jersey Narrow Pant by Bitte Kai Rand in Shimmering Rock. 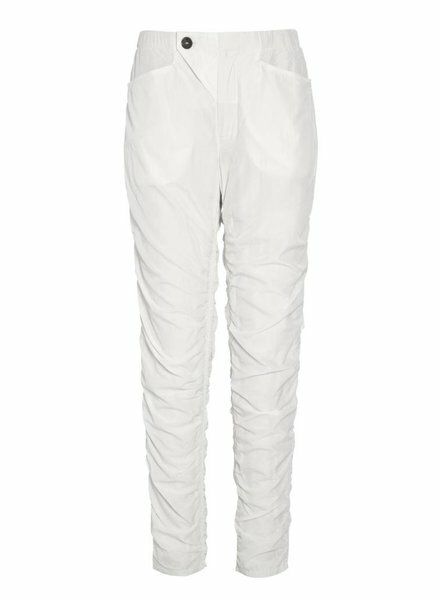 Lily White Parachute Nylon Pant by Bitte Kai Rand featuring a button front, gathered elastic band look. 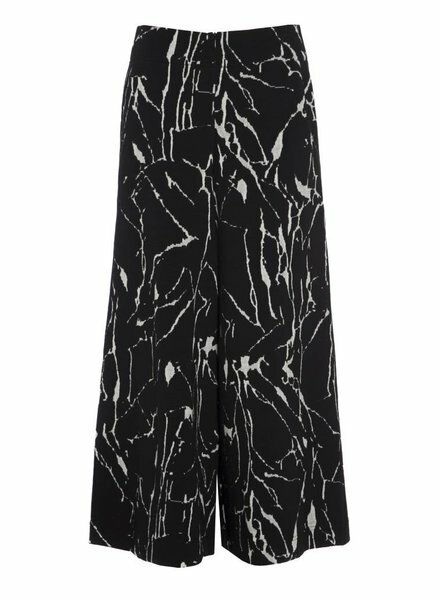 Opal cracks jacquard pant by Bitte Kai Rand featuring a wide leg and zipper front. 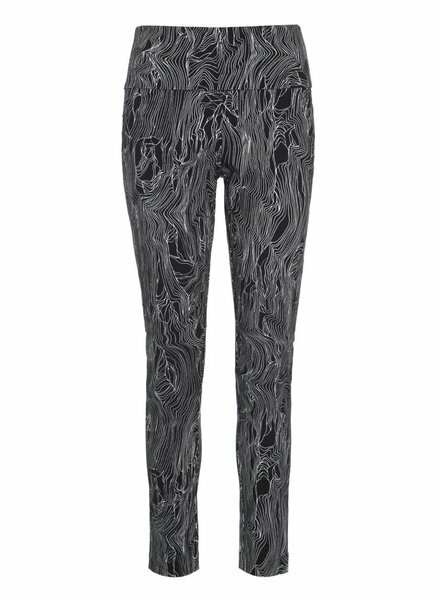 Printed stretch pants with folded waist piece by Bitte Kai Rand featuring as stratum design. 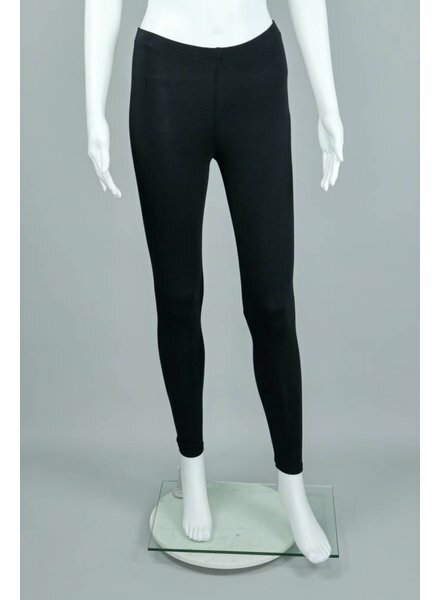 Pair this jersey knit legging with a blouse or sweater for the perfect Fall look! 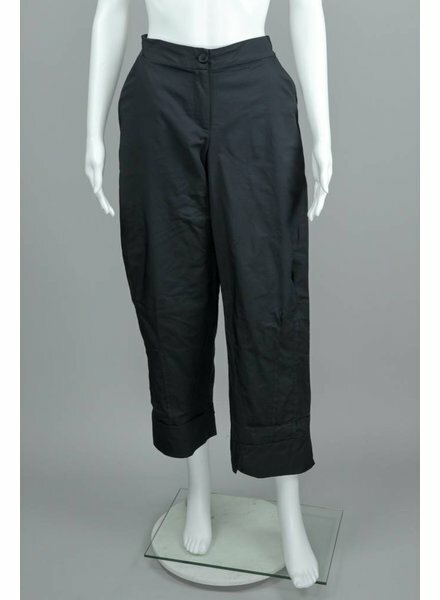 This Parachute Black Pant Features Side Pockets As Well As Outer Pockets Midway Down The Outer Legs.